We were exactly half way through our cruise at this point as we made a turnaround in Sydney. The first half was a cruise around New Zealand and that was a wrap. Now we were headed to the South Pacific to the Fiji Islands and New Caledonia. We started the morning by going to the Taronga Zoo. We came all of the way to Australia and this was to be the only day we got to really see any of that wonderful country. Alice wanted to see Koalas and Kangaroos, so the zoo was our best option. Because our ship docked at White Bay (deep into the harbor) and not at Circular Quay (the downtown wharf), the ship cancelled our zoo excursion. We were therefore obliged to find our own way to the zoo. We caught a shuttle bus from our distant docking area to the King Street Wharf near the aquarium. From there we walked through downtown to get to Circular Quay to get a ferry to the Zoo. This walk through downtown on a weekend morning without all of the traffic was quite enjoyable. When we got to Circular Quay, we bought our round trip ferry tickets to the zoo and then had to wait about half an hour for the next boat. By the time we got to the zoo we knew we only had a few hours to see everything before we had to get back to the ship. We therefore decided to spend our time in the Australia Walkabout section, ignoring the other sections. The zoo is located on the side of a hill so they provide a gondola ride to the top so that you can walk down hill to see the exhibits. We had quite an adventure with Alice’s fear of heights. This is the first gondola ride that I have ever seen her take. As it turns out this was the most exciting part of the day. The rest of the trip was a real bust. First of all, the Koala Exhibit was closed so we saw no koalas. We did get to see wallabies and kangaroos in a cute walk through area. I posted my only decent picture at the zoo on Facebook. We went to see the Tasmanian Devil exhibit, but they were mostly just hiding and sleeping. Then it was on the see the elephants. Again, they were not out in the exhibit. I’m glad that the excursion was cancelled. We spent a lot less money on our own trip. On the way back to the ship we discovered that the ferry also made a stop at the King Street Wharf so we didn’t get off at Circular Quay but continued on to King Street and got the shuttle back to the ship. The reason we had to get back to the ship early was because they were loading a new set of passengers for the second leg of the cruise and everyone had to be on board by 2:00 PM so that they could schedule the mandatory life boat drill. On the way out of the harbor we went under the Sydney Harbor Bridge and got some good pictures of the people on the bridge climb. Then I got some nice daytime shots of the Opera House. On the first day of the cruise I was only able to get night time pictures. Now it is off to the warmer half of our journey with another two days at sea. After leaving our last port in New Zealand, we had two days at sea on our way back to Sydney. It gave me some time for working on Book 2 during the day and then time to solidify our friendships with our cruise buddies from Virginia and New Jersey. We were invited to a Mariner awards ceremony just before lunch on the 11th day where Alice and I received bronze medallions signifying more than 100 cruise days on Holland America. There was one mariner recognized for having over 700 cruise days. That is almost two years of cruising. Our second formal night was on Day 11, and I got to wear my new tie purchased at our last stop in New Zealand. It featured the silver leaf design that might become part of their new flag. I am wearing the tie in the picture posted for the day, but you can’t see the small pattern of the silver leaf alternating with the initials N.Z. 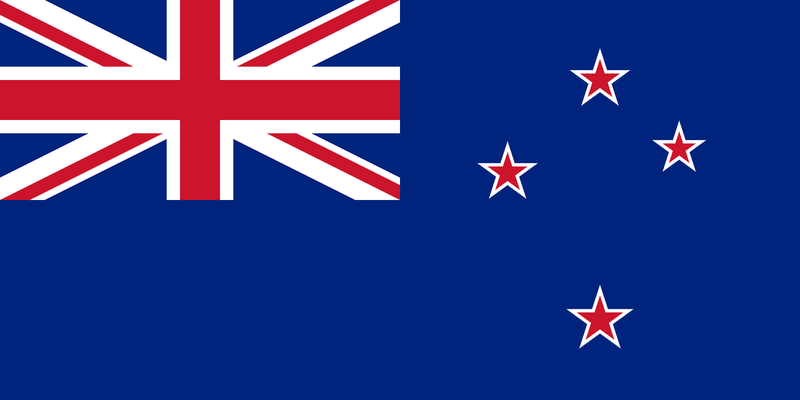 for New Zealand. Every time I wear that tie I will be reminded of our cruise on the other side of the world. Waitangi was our last stop in New Zealand before the two days at sea on the way back to Sydney, Australia. The area was called the Bay of Islands and was located on the very northern tip of the country. We chose a shore excursion that included two very historical points of interest. Our first stop was the Kerikeri Mission Station which included both the Mission House (also known as the Kemp House) and the Stone Store. These are the oldest buildings still standing in the country. These buildings were erected by the Church Missionary Society, an Anglican mission to New Zealand in the 1820’s and 1830’s. The missionaries were invited to stay by the local Maori tribe called the Ngapuhi, who sold 13,000 acres of land to the mission, on which the Mission House (aka the Kemp House) and the Stone Store were built. The Ngapuhi also offered protection to the missionaries from other Maori tribes in exchange for western technology (think muskets). On the second and third floors of the Stone Store was located a very well organized museum describing and depicting the life and history of the area, including how two sons of Maori chiefs were sent to England to learn about western culture and to allow the English a chance to understand the Maori vocabulary. I included two pictures of this area on my January 1th Facebook post. The first picture is of the Stone Store and the second is a single flower from the gardens and orchards planted around the Kemp House. From here we went to the James Busby house which is also know as the Treaty House. Here, the treaty between England and the Maori was signed in 1840. This treaty recognized English governance of the islands but allowed the Maori to retain all of the land and to manage their local affairs. I included a picture of the table where the treaty was signed and a picture of the Maori Temple on the treaty grounds. Yearly celebrations take place at the treaty grounds and Waitangi Day is celebrated in a similar fashion to Independence Day in the United States. The final picture that I included is that of the ceremonial war canoes (waka taua) the larger of which is 35 meters long and constructed of three giant kauri trees. The two boats pictured are used as part of the annual celebration. The larger canoe takes 76 paddlers to maneuver. If you like my writing, visit my author website at http://www.TheNuTrilogy.com and order a copy of my new science fiction novel “Nu Book 1 – The Esss Advance”. When we woke up on the morning of December 1st, we were already docked in Auckland. After our normal stop in the main dining room for breakfast, we were off on our excursion for the day. We boarded a local coach for a short drive around the harbor and then we stopped at Kelly Tarleton’s Sea Life Aquarium.
) which actually seems like a tremendous use of an abandoned water tight facility. We started our journey in the aquarium by passing through a recreation of the antarctic base of Captain Robert Falcon Scott. This ill fated 1913 expedition was trying to be the first to reach the south pole (they missed it by 34 days to a Norwegian group). Everyone in the expedition perished on their trip back from the south pole to their base. It turns out that many of the Antarctic expeditions originate in New Zealand because of its proximity and the relative calmness of the ocean compared to the southern tips of Africa and South America. After passing through the Scott base exhibit, we entered the area of the penguin habitat where we could observe the King and Gentoo penguins through windows into the temperature controlled environment. I included two pictures of the penguins on my Facebook post. I particularly like the pair of King penguins (I leave it up to the reader to guess why). From there we entered the large shark tank by stepping onto a circular beltway that slowly carried you around the tank. It was very small in comparison the the aquarium tank in Atlanta, Georgia, but it was beautiful nonetheless. After leaving the shark tank. we went through several smaller exhibits, including one with several different lobster tanks. I also included a picture on Facebook of one of the delicious inhabitants. From the aquarium, we were bused downtown to the Sky Tower, the tallest free standing structure in the southern hemisphere. From the basement of the tower, we got on one of the elevators for the ride up to the observation platform. About a third of the way up, a gasp arose from everyone in the elevator when we discovered that the elevator doors were made of glass and we were suddenly overlooking the harbor. That small twinge in the pit of our stomachs came from looking down from a great height. I included one picture on Facebook from the observation platform. In it you can see a magenta colored highway running through the middle of the city. After some research, I found out that this is an old motorway that was re-purposed for bicycle and pedestrian traffic. The bright color was used to make a statement to other cities around the world that you can make bicycle friendly environments even in the heart of a large city. One additional note about the Sky Tower. They allow you to jump off of the tower for a price. No, this is not a suicide jump. You are hooked up to cables to prevent the wind from blowing you into the tower and to guide you to a safe landing platform. Jumpers reach an adrenaline high by leaping from 192 meters above the ground and reaching a speed of 85 kilometers per hour before landing. Needless to say, neither Alice nor I was interested in jumping. Taking a 25 day cruise on the other side of the world was excitement enough. CRUISE DAY 8 – Tauranga, NZ, November 30, 2015. This was one of our most anticipated stops on the cruise. Today we were to go to the Hobbiton movie set where filming took place for the Lord of the Rings and Hobbit trilogies. We were not disappointed. On the bus ride out to the movie set we learned about the history of how the area was discovered by Peter Jackson’s crew on the Alexander Family Farm. The farm still exists and thrives around the movie set. When work first began, the New Zealand army built the 1.5 kilometer road into the area as a training exercise. They also helped with some of the original excavations before the set crew built the facades for the 37 Hobbit holes dug into the hills. Our local guide, dressed up in suitable Hobbit garb, took us around the set, explaining where various scenes were filmed. He also told us that the original set created for the Lord of the Rings scenes was torn down and then had to be rebuilt for the Hobbit movies. It was decided during the second build that the Hobbit holes would be left in tact for fans to see after the fact. We started in the gardens at the bottom of hill and worked our way slowly up to Bag End. There were beautiful touches on the set everywhere you looked. A few of the Hobbit holes had clothes lines set up with clothes hanging to dry in the wind. The baker’s shop had a table with various breads (fake of course) on display. We were told how some Hobbit holes were guilt on a very large scale to make the Hobbits seem shorter, while others were built very small to make Gandalf seem taller. We learned how perspective was used throughout the filming to maintain the illusion of the size difference between the various characters. Filming of the indoor scenes at Bag End were done off site in a movie set, although the interior hallway inside of the door at Bag End was finished so that scenes filmed outside the open round door looked as if the interior was finished. From Bag End we went down to the party field overshadowed by the party tree. Here they had several decorations set up like a may pole, a party tent, and a string of colored lanterns strung between two poles. We finished the tour outside the village tavern with a nice snack where you could have tea, coffee, or a glass of local beer along with choices of several snacks. I took many pictures with a specific purpose in mind. Yesterday I watched The Fellowship of the Ring where we first see Hobbiton in the initial trilogy. I paused the movie at several points to compare the set with the pictures that I took. It was marvelous to experience the movie once again after being on the set. This is another stop to put on your bucket list if you were ever a fan of Peter Jackson’s two trilogies. It was another beautiful morning as we sailed into Napier, NZ. We had scheduled all of our tours weeks before leaving for the cruise, so we weren’t sure how each tour would turn out. This tour, however, turned out to be stellar. We were picked up at the dock in Napier by Gannet Safaris Overland. From there, we were driven to their home base for a short break before starting our 3-4 hour overland tour. The first stop was at the head of the cliffs overlooking Hawke’s Bay and back toward the harbor in Napier. The photo post of Alice and me as well as the video of the beautiful hills with all of the bleating sheep on my Facebook post from January 4th were taken from that spot. From there we went another 10 kilometers up and down the hills through many fenced pastures and alongside the riverbed at the bottom of the valley. Our final climb was up to the actual Gannet colony. As soon as we got off of the bus you couldn’t miss the cacophony of noise created by the birds. Then the smell of the colony hit our noses. It seemed like utter chaos until you studied the birds for a while. Each pair of Gannet’s had its own nest which they closely guarded from their immediate neighbors, and by immediate, I mean a foot or two of separation. Mated birds often performed an intricate neck to neck mating ritual. Birds without mates danced around the outside of the colony trying to attract a mate. There were Gannets constantly flying overhead, either going fishing to feed the chicks or carrying seaweed or other plants to build up their nests. I was very lucky to snap a picture of one of the Gannet’s flying over my head where the motion of the camera matched the flight of the bird exactly, yielding a terrifically detailed picture of the bird and all of its layers of downy feathers. I also waited patiently to snap a picture of a baby Gannet with its open black beak contrasted sharply against the white feathers of its mother. The mother’s bill was slightly open with food it is about to feed to its chick (See Jan 4th Facebook). This is another case of trying to describe something through words and pictures that really requires being there to truly experience. I hope I have done an adequate job. If you ever go to New Zealand, you should put this on your bucket list. It was a beautiful Saturday morning in Wellington, NZ. This capital city is located on the southern most point of the north island There was little traffic in the city because the government is effectively closed on the weekend. Our excursion group was small and we were being driven around in a small four wheel drive van designed for rugged terrain. Our first stop was at a small park in the suburbs of the city. In the park there were several different areas where the guide could introduce our group to both the culture and natural beauty of this island nation. In my picture post on Facebook on January 2nd you will see a picture of the silver fern plant. It is actually quite beautiful. The fern grows as a tree that can reach heights of ten meters. Each year a new layer of growth appears at the top of the tree. The underside of the fern leaf has a shiny silvery color.From the park we went to an outlook far above the city to get a panoramic view of the city and the bay. I included a picture from there as well. If you look at the center bottom of that picture you can see a beehive shaped building that houses the country’s legislature. Now comes the interesting part of the tour. From that outlook point, we climbed even higher into the mountains to see the wind farm of 62 wind turbines installed under Project West Wind. The turbines were installed along the peaks in the mountains rising up from Cook Bay between the two main islands. The wind is strong and constant which is perfect for this type of project. I also included a short video of one of the turbines where you can get a good idea of the local weather conditions. We traveled along a paved road that went from peak to peak and windmill to windmill until we reached the eastern end of the road. We then traveled down to what was called Red Rocks Walkway that runs along the beach that faces south toward the southern island. After a short trip along the very rugged walkway (climbing over loose rock most of the way) we came abreast of a small leaning lighthouse out in the bay. We stopped here and were guided to an area were several male fur seals were basking in the sun. I included three pictures from that area. One of the lighthouse, one of a sea lion, and one of Alice dressed up for the cool windy weather. Needless to say, this was quite an adventure. We even go to look over Cook Straight to see Cloudy Bay, where one of our favorite wines (their Sauvignon Blanc) is produced. It was too bad that the cruise stops did not allow for a trip to the winery. I am afraid I fell victim to the time change when I posted my pictures on Facebook from Dunedin. I set the date as November 25th instead of November 26th. I used the date/time stamp on the photograph which is based upon the date set in my Canon EOS camera for Eastern Standard Time in the United States. When the picture is stamped as 5:30 PM on 11/25 that means it was taken at 9:30 AM on 11/26 in Dunedin. My apologies. I am also afraid that you might be a bit disappointed in my Day 5 blog, because we were supposed to stop in Akaroa, NZ just outside of Christchurch. This was supposed to be one of the most dramatic ports of call on our tour and we were looking forward to some very beautiful mountain scenery as seen in the Lord of the Rings movies. However, it was not to be. When we woke up in the morning and looked out from our veranda, all we could see was a tender boat bobbing up and down like a little cork. Apparently the winds were blowing at about 70 miles per hour and the tender boats could not hold still enough along side the ship for the transfer of passengers. A few minutes after seeing the scary sight of that tender, the captain came on the loudspeaker announcing that he was cancelling this port of call. It was just too dangerous to try to get anyone off of the ship. With that said, the tender was brought back onto the ship and we sailed very slowly toward our next port. Even if the captain had allowed the tenders to run in this rough weather, Alice would never have gotten off of the ship. She has a fear of going on the tender boats even in calm weather. It has something to do with bridging the gap between the ships or between the dock and the ship on the way back. Before the captain made the announcement, Alice had already stated that there was no way she was going on the tender boat. There was one positive side effect. I was able to begin work on Book 2 of the trilogy. Up to this point, I was either too tired from the time change or we had to much going on with Milford Sound and Dunedin. I knew what I wanted to accomplish with the book that morning. I was already 23,500 words into an 80,000 word novel, but I really had not had time to review what was already written. Therefore, I read and corrected the entire manuscript. This included renumbering the chapters, setting the proper fonts for the chapter headings and the body text, cleaning up some long run on sentences, etc. All in all, it was a productive morning and it got me ready for continuing the writing of the story on subsequent days. I also had three copies of Book 1 with me on the ship and I lent two of them out to the library to see if I could generate any interest on the ship. I kept one copy as a reference for myself while writing Book 2. We woke up on the fourth full day of our cruise and looked out of our stateroom window and got our first real glimpse of the beautiful green hills of New Zealand. We were sailing into the harbor in the town of Dunedin. I snapped several beautiful photos, including one with my wife Alice standing on the balcony with the hills in the background. Once we had breakfast, we headed out for our first official shore excursion, a bus tour of Dunedin. Our first stop was at the First Presbyterian Church of Otago. The original settlers arrived in 1848 and established the town and the church. The current church building was built between 1867 and 1873 and a picture of the building with its tall spire is included on my Facebook post from December 31, 2015 (https://www.facebook.com/profile.php?id=100010589645735). From the church we went to the train station, another historic landmark. Because of the rough terrain of this beautiful and wild country, most travel was done by boat or train. The beautiful architecture of the train station was mirrored in many of the buildings in the city. This is a very Scottish community, as most of the original settlers were from Scotland. Our guide on the tour was a Scot dressed in a kilt and talking in a strong Scottish brogue. His animated talks were both amusing and informative. We felt that he must have been attached to some theater group. More about that later. Our final stop was at a beautiful garden called Glen Falloch. We were welcomed off of our bus by a Scottish piper that I have included in the Facebook photo album. He led us to a quaint pavilion where were served morning tea (and coffee) along with some delicious scones and some strawberry jam and whipped cream on what appeared to be a pancake. After tea, we were entertained by two beautiful young ladies performing a Scottish Sword Dance, where two swords were laid on the floor in the form of a cross and the lasses danced around the swords to a tune played by the bag piper. ). Enjoy. After having a tot of scotch, we each had a taste of the haggis, which I thought was wonderful. We had some time to ourselves at this point and I took some pictures of the flowers in the gardens. I included just one for your viewing pleasure.Then it was back to the ship. It was a thoroughly enjoyable morning. We arrived at Milford Sound the morning of our third day. If you look at a map of New Zealand, you can find Milford sound on the southwest corner of the south island. The weather was cloudy with intermittent showers but the views were still spectacular. I took 106 pictures and three videos that day and I selected two photos and one video to share with everyone on my Facebook page (https://www.facebook.com/profile.php?id=100010589645735 scroll down to the Dec. 30th posts). First of all, I was reminded of our visit to the Fjords in Norway. The mountains rose almost straight up out of the sound into the sky and waterfalls were streaming down the sides everywhere you looked. The captain of the Noordam opened up the front deck of the ship on level four so that everyone could get a better look as we headed into and then back out of the sound. When you looked up at the highest peaks, you could see snow caps clinging to the steep sides. The wind was blowing from west to east toward the head of the sound and you could see some of the waterfalls that fell over cliffs being blown sideways and sometimes disappearing before they reached the waters of the sound below. When you watch the video, you can hear the waterfalls and the wind. This southernmost part of New Zealand is the kickoff point for most expeditions to Antarctica so it was quite cool for late spring.